It is interesting how quickly we can get wrapped up in ourselves and what we think gives our lives value. Even when working in the ministry we can quickly elevate the ministry over the God who empowers us to carry on said ministry. All-in-all, the new songs are intimate, profound and carried through musically with a fresh mix of Hip-Hop, pop and R&B. 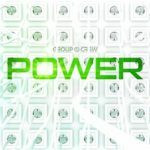 For more on Group 1 Crew and their latest release check out either their Facebook page (https://www.facebook.com/group1crew/) or their official website at http://group1crew.com/. For their third volume, the Owlegories creators keep it fresh with three new thrilling adventures. Starting with “The Fire,” where the pupils learn about pure gold and the references in the Bible about how God refines us like pure gold. The primary verse linked to this episode is Hebrews 12:28-29. It’s very cool how they blend the technical/scientific aspects of refinement and the biblical parallels. The second tale, “The Duck,” features Silas Robertson (aka Uncle Si. 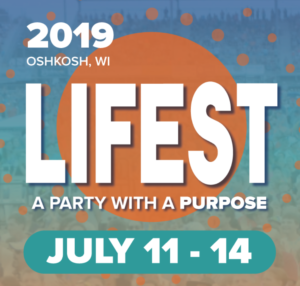 The scenery is quite fitting, as the owls find themselves deep in the swamps where they learn about working together and how God has enabled us to do so with the gifts of life, salvation through Jesus, and a third “gift” to be revealed at just the right time (no spoilers here). The key verse in this episode is 1 Peter 4:10. The presence of Uncle Si adds to the entertainment with a grandpa like figure that many are familiar with (along with the iconic green cup). The third episode, “The Seasons,” have your young-lings exploring the seasons through a “souped-up” simulator. 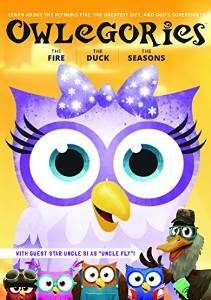 The “S6” is a high-tech simulator that assists the young owls understand three lessons God teaches us through the seasons. This episode really enforces the main point of the series overall and that is seeing God in creation. The lessons take the biblical text and relate it to something that they can tangibly experience. The “Recap” at the end of every episodes helps you unpack the meaning behind each episode. It is a great resource for parents and/or Sunday school teachers. However, it is not as interesting for a toddler to listen to another adult on the screen so it may take a bit of interaction in person to keep them engaged. One way to engage them, might be to count the number of “okay’s” that Uncle Si uses in his recap. Eph 2:8 – For by grace you have been saved through faith, and that not of yourselves; it is the gift of God (NKJV). For more on “The Owelegories” check out http://owlegories.com/. 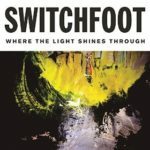 The latest release from Switchfoot finds them full circle regards to being on an independent label. During their career, the music industry has been turned on its head by illegal music sharing to the current trend of free streaming and buying one-track at a time online. Through it all, they have consistently produced quality music and garnered great recognition. The band tenacity and hard work has paid off and I am glad to see that they can now have more control over their brand. With that said though, I do not think that much has changed for them musically because they have never appeared to compromise their art for the sake of business goals, but I do think that being independent will give them more freedom to present their music as they wish.